Manufacturing and Trading of Blowers and Motors. 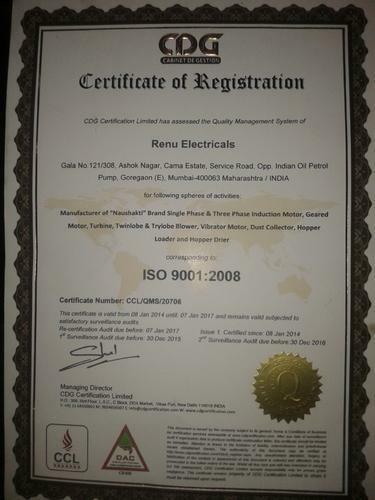 Established in the year 1980, we, “Renu Electricals”, we are among the venerated Manufacturer and Supplier of Industrial Blowers, Motors etc. These products are well-appreciated in the industry for their high performance, durability, efficiency and long service life. Our range is manufactured as per the IS and international guidelines. 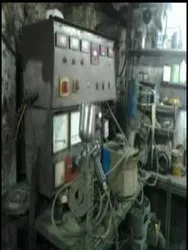 The range is widely used for various engineering purposes in different industries. Further, this range is also supplied to numerous government and semi government departments. Our robust and cutting-edge infrastructure is established in Mumbai, Maharashtra (India). This facility is outfitted with necessary amenities and machines, which are used for all our operational processes. Our quality analysts check the product line on various quality tested parameters. The guidance of our stalwart leader and mentor “Mr. 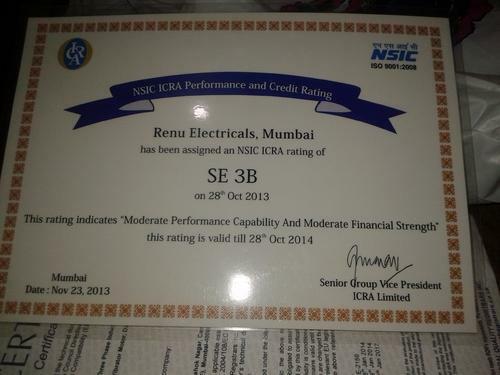 R. B. Yadav”, has helped us in achieving a respectable status in the industry. His reliance on ethical practices and sound domain expertise have helped us in catering the clients satisfactorily. Due to our quality products we have attended huge clientèle all across the globe. Our firm is one of the most coveted manufacturers and suppliers of high-quality range of Blowers and Motors. Our products are highly demanded due to their efficient operations, high performance, sturdy construction and long service life. These products are manufactured using superior grade components that are sourced from the reputable and trusted vendors. Further, the products are delivered to the customers within the stipulated time frame. 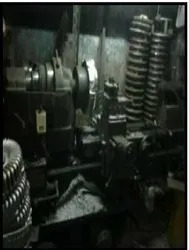 We are involved as manufacturer and supplier of Blowers and Motors that are manufactured utilizing optimum quality components and basic material. Besides this, our timely deliveries, client centric approach and qualitative products have enabled us to achieve a commendable position.